Bharat Sanchar Nigam Limited (BSNL), a government telecom company, has launched a feature phone for Rs 499 with DeTel after launching the 4G feature phone with Micromax. The Detel Mobiles has launched Detel D1 feature phone in partnership with BSNL. The device has also become available in the market. With the launch of Detel D1, BSNL has also introduced a plan, but before buying this phone, you also know its truth or else you may have to repent later. If you are also confused about whether the Detel D1 supports 4G or not, then you have to know this is a basic phone. You will not be able to run the Internet on this phone too. The DeTel D1 is the same phone as Nokia's old 1110 feature phone. Well if you just want to take a feature phone for calling, you can buy the DeTel D1. With this phone, you will get a SIM card of BSNL with which the first recharge of Rs 365 will be required. On this recharge, you will have a talktime of Rs 103, 15 paise per minute on the network of BSNL, and 40 paise per minute on the other networks. The validity of this plan is 365 days, i.e. Rs.499 for a year, completely free mobile and recharge. 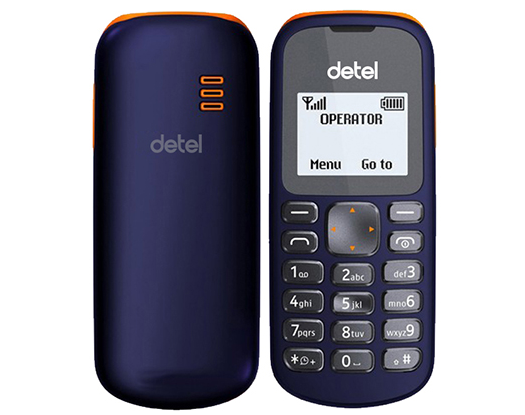 Coming to the features of the Detel D1, it has a 1.44-inch monochrome display, 650mAh battery, single SIM support, flashlight, speaker, FM radio, vibration mode and phone book.